I’m excited about providing to you timely and impactful articles about the strange world of I-9 forms and immigration compliance for employers. I realize most employers just hate the words, I-9 forms and ICE. Both can cause you lots of headaches and maybe financial penalties. I hope through these regular articles that I can make your jobs easier in dealing with immigration compliance. And if you find this material helpful, I invite you to purchase my new book, The I-9 and E-Verify Handbook, available at Amazon and the SHRM bookstore. If you want to read more on these subjects, I invite you to www.employerimmigration, where you can read back articles from my blog as well as other current articles. Of course, I value any questions or input from you on these subjects. Many experts, myself included, have argued that Immigration and Customs Enforcement (ICE), under the Trump administration, has significantly increased I-9 inspections/audits of employers to verify that their employees are authorized to work in the country and determine whether substantive paperwork violations have occurred. Now, we have statistics which substantiate the heightened activity of ICE in worksite enforcement. Between October 1, 2017, the beginning of fiscal year 2018, and May 4, 2018, there have been 2,282 ICE audits of employers’ I-9 forms while in the prior fiscal year, October 2016 and September 2017, there were 1,360 audits. Derek Benner, head of ICE’s Homeland Security Investigations unit, said another nationwide wave of audits, like the ICE audits of 7-Eleven in January 2018, planned this summer, would push the total number of audits to “well over” 5,000 by the end of the fiscal year, September 30, 2018. If so, that would be almost a 400% increase from fiscal year 2017 and highest number of ICE audits ever. ICE audits, as we know them today, started in George W. Bush’s administration. ICE audits previously peaked at 3,127 in 2013. According to Brenner, ICE has developed a plan to conduct as many as 15,000 I-9 audits a year if it can receive appropriate funding and support from other areas of the Trump administration. The plan calls for creation of an Employer Compliance Inspection Center to perform employer audits at a single location instead of at regional offices around the country. Benner said that putting up to 250 auditors in one center with the right technology and a team of attorneys to quickly levy fines would enable his agency to audit between 10,000 and 15,000 companies annually. The plan also proposes changing the manner of delivery of the ICE Notice of Inspection (NOI) from in person to email or certified mail. Furthermore, after an initial review, by electronically scanning the I-9 forms for suspicious activity, the most egregious cases will be sent to regional offices for more in-depth investigation. Benner said the agency will focus both on criminal cases against employers as well deporting employees who in the country illegally. The statistics show there were 594 employers arrested on criminal work-related immigration charges from October 1 to May 4, up from 139 during the previous fiscal year. The deportation numbers will certainly increase due to this worksite enforcement as ICE has begun to detain employees listed on the Notice of Suspect Documents. Prior administrations did not detain undocumented workers on the Notice of Suspect Documents which lead many undocumented workers to quit one employer and find work down the road with another employer. As Brenner and many other immigration officials have stated, hiring undocumented workers creates unfair advantages for companies, encourages people to come to the U.S. illegally, results in document and identity fraud, exposes workers to potentially dangerous conditions without proper equipment, and leads to failure to pay overtime pay. 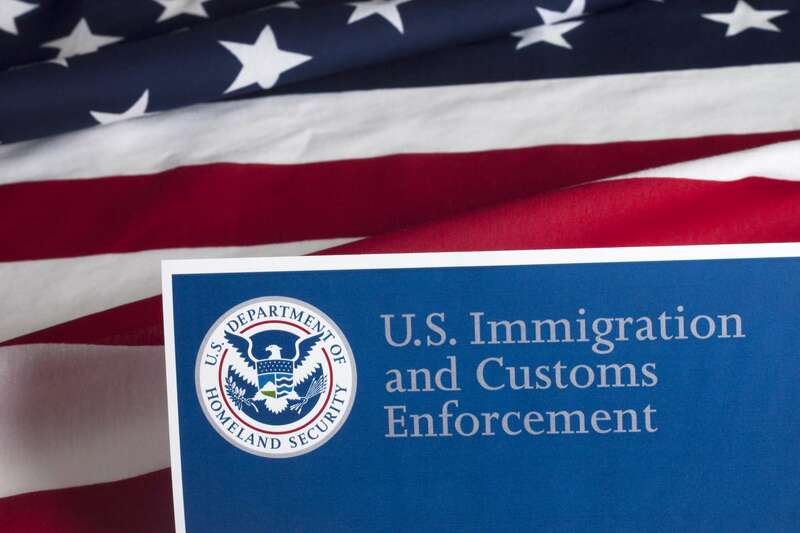 If the heightened I-9 audits by ICE frightens you, as it should, be prepared and conduct an internal I-9 audit under the direction or control of an experienced immigration attorney with expertise in worksite enforcement. If you want to know more information on employer immigration compliance, I recommend you read The I-9 and E-Verify Handbook, a book I co-authored with Greg Siskind, and available at http://www.amazon.com/dp/0997083379. Previous : Marijuana Use Is Becoming Legal. Is Your Company Prepared?